Veteran of 1/83rd Artillery 1968-1969. 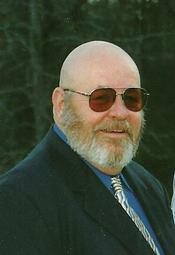 Thomas “T.A.”, “Tom” Alexander Provence, 65 of Hope, Arkansas passed away, Monday, October 8, 2012 in the Overton Brooks VA Medical Center in Shreveport, Louisiana. Tom was born April 17, 1947 in Long Beach, California to George and Wilma Allen Provence. Tom was a proud Vietnam Veteran, serving three tours of duty, a member of the American Legion and VFW, a loving and devoted husband, father and grandfather. He is preceded in death by his parents, a brother, David Provence and sister, Lynn Provence. He is survived by his wife, Diana Wyatt Provence of Hope, his son, Gerald Provence of Grand Prairie, Texas, three daughters; Tina Provence of Gladewater, Texas, Tammy Provence Powell and Kalyn Provence, both of Hope, Arkansas, his brother; Jerry Provence of Montana, his sister; Tammy Rodgers of Missouri, his five grandsons: Alex and Chandler Cameron, Jason “JB” Potter, Rylee and Kaden Powell, several nieces, nephews, aunts and uncles. A Memorial Service in honor of Mr. Provence will be 2:00pm, Saturday, October 20, 2012 at Brazzel/Oakcrest Funeral Home Chapel in Hope.